Automobile technology is evolving quickly. The features people take for granted today, such as automatic transmission, windshield wipers, airbags, cruise control, and backup cameras, for example, all began as revolutionary ideas and changes. The automobile industry has added capabilities and gadgets only dreamed of years ago, such as Bluetooth capability, GPS, and sensors. Most recently, autonomous driving has been the subject of research and prototyping. There are many reasons for wanting to build self-driving cars. Engineers are convinced that the use of automated cars will substantially improve automobile safety and use fuel more efficiently. Cars may drive closer to each other, making better use of the 80 percent to 90 percent of empty space on roads. Fuel efficiency would increase significantly because the vehicle's computer would control most of the gas use. More importantly, cars with sensors and intelligence would react faster than humans to obstacles. The number of accidents and deaths related to human error will be smaller when autonomous cars reach their full potential. 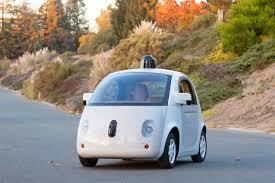 However as autonomous cars are being tested, some concerns prevent a celebration of self-driving cars. The main concern over self-driving cars is the rise of hacking, which has serious consequences in computerized systems we depend on today. In 2013, Charlie Miller and Chris Valasek hacked a Ford Escape and a Toyota Prius. They were in the backseat of the cars and were able to control the brakes, horn, steering wheel, audio, and many other features. The perpetrators achieved this by connecting their computers to the computer's onboard diagnostic port; this feature allows repair technicians access to the car's electronically controlled systems. This problem was not critical or serious because it could not be done wirelessly and everything had to be done in the car. However, merely two years later, Miller and Valasek were able to control a Jeep Cherokee wirelessly. This wireless hacking is setting off alarms about the future and safety of self-driving cars. The few semi-autonomous cars that exist today on the market utilize wireless connections as an integral part of their navigation. Fiat Chrysler recalled 1.4 million vehicles because Miller and Valasek were able to remotely control a Jeep Cherokee by hacking the wireless connections of the UConnect entertainment system (the computer that is capable of controlling most features in the car). They uploaded a video on YouTube that showed them the vehicle's speed and controlling the brakes, radio, windshield wipers, transmission and other features. The reason why these semi-autonomous cars are so vulnerable to hackers is because carmakers are trying to transform cars into habitable smartphones. The UConnect systems that exist in many Fiat cars allows for Wi-Fi hotspots, phone calls, navigation, and many other luxuries. Miller and Valasek have not yet exposed the specific component of the car's security that allows for the car to be controlled, but they have said that they can virtually control any car in the U.S. by simply obtaining the IP address of that car. This seems too insecure and volatile for the self-driving car industry. As cars continue to rely on computers to increase capabilities, it leaves open to the possibility that any car can be hacked. A simple malware program in a car's software can cause havoc on the roads and ultimately take the lives of many people. Although the benefits of autonomous driving are desirable, the prospect of hacking these cars serves as a barrier to a world of autonomous driving. The automobile industry will proceed with research and development on autonomous cars, but will do so under a caution flag. Theodore Andrew Lee is a senior at Liberty High School, Bethlehem, PA. He is co-founder of the Robotics Club and a writer for the school newspaper. Lee is a student Researcher at Lehigh University in Microfluidics and was selected to be in the Scholars Program for this academic year at Lehigh University. He is a volunteer First Responder at Hanover Township Volunteer Firehouse #1.